But if going to the Apple Store with the masses doesn't sound like the best idea, Justin's guide showed us how to actually print and cut-out real size replicas of the Apple Watch: in both the 38mm and 42mm models. 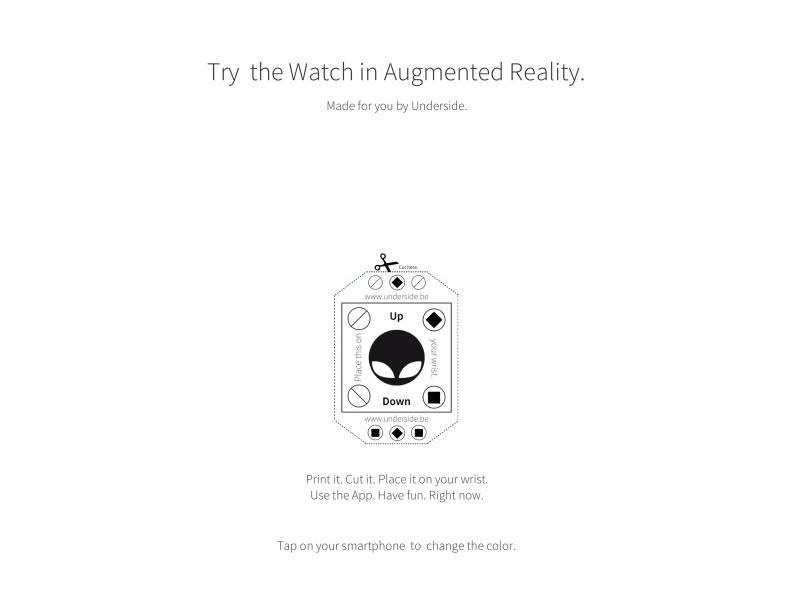 Now, thanks to developers Underside, you can take that a step further and "try on" the Apple Watch using augmented reality. All you have to do is download an app called ARWatch, print and cut out a marker, then try on several models of the Apple Watch from your home. 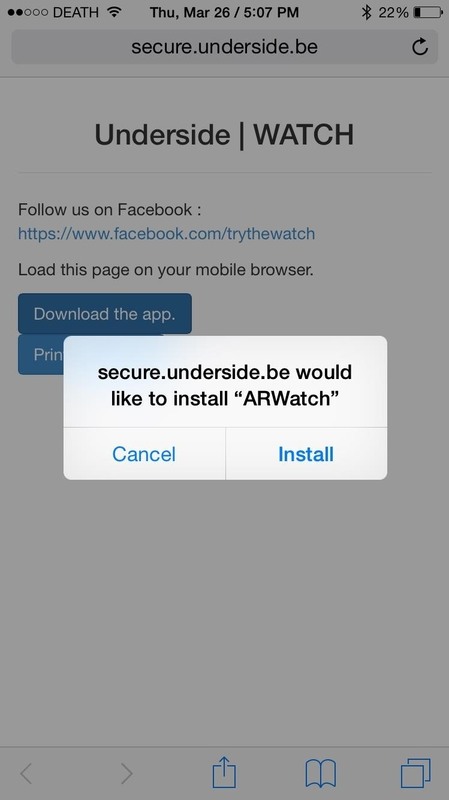 Note: Unfortunately, Apple revoked the certificates needed to download ARWatch online, so the only way to use ARWatch now is by installing it on an Android device (oh, the irony). Either way, you can check out how it works in the video below, and grab the printout below. On your iPhone, visit this link and tap on "Download the app" to get the augmented-reality app on your device. Hit "Install" and ARWatch will show up on your home screen. Before you open ARWatch, make sure to download, print, and cut out this PDF template in order for the augmented reality to work. Image not to scale. Use the PDF instead. 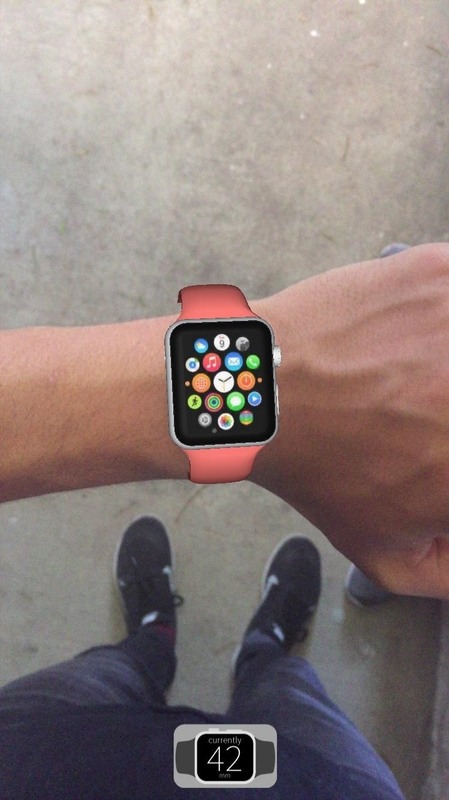 Place the cutout on your wrist, open the app, and you're all set set. 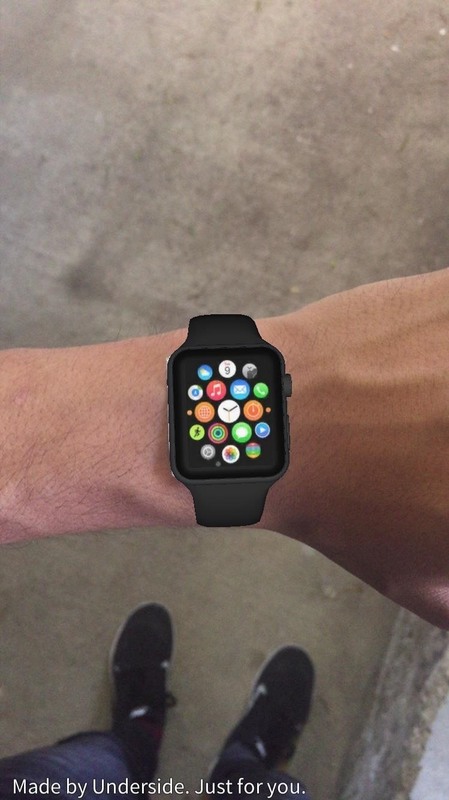 After a second or so, you'll see the Apple Watch around your wrist. Change the size of the watch by tapping on the small watch icon at the bottom, and tap on the watch around your wrist to change the color of its band. You can check out how it looks at different angles by moving your wrist, and even take screenshots of the watch by holding down on the screen for a few seconds. 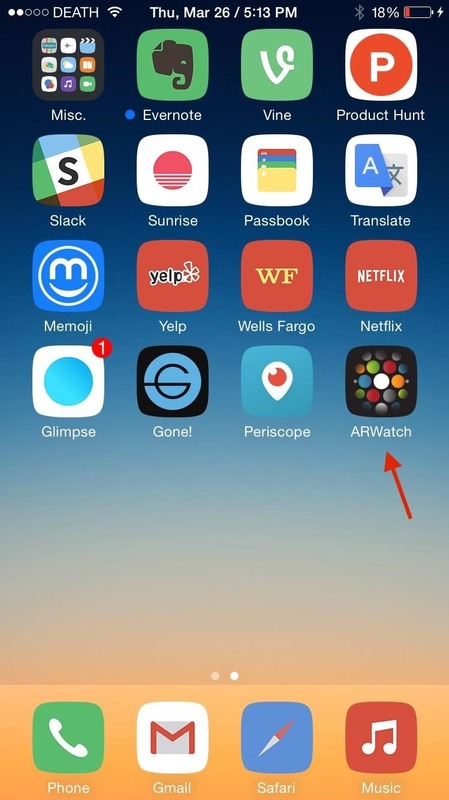 Using ARWatch, I was able to get a good grasp of how the Apple Watch would look on my wrist. While I was initially hesitant about getting the smaller version (38 mm), it actually doesn't look as small as I thought it would. Also, black looked the best with my skin tone, so I'll definitely have the size and color ready when it comes time to preorder. If you have no interest in getting the Apple Watch, check out Justin's other guide on how to get rid of the Apple Watch app from your home screen. Will you be getting an Apple Watch? Or will you be going for an alternative, like an Android Wear model or the upcoming Pebble Time smartwatch? Or will you not be getting a smartwatch of at all? Follow Gadget Hacks on Facebook, Google+, and Twitter to see more cool iOS apps, as well as tips and tricks to getting more out of your devices.